Pirate fans, this one’s for you. 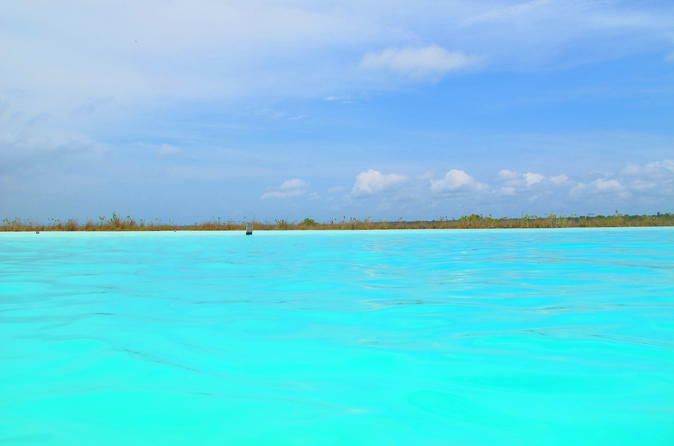 This full-day trip from Cancun visits Bacalar’s Pirates Fort and pirate museum, sails on a luxury pontoon to the Seven Colors Lagoon and the Black Cenote sinkhole, and journeys to the exfoliating sands of the Pirate Channel. This deluxe option also includes a tour of the Chac-choben archaeological site. Your English, French, Italian or Spanish speaking guide will lead the trip. Entrance and visit of San Felipe Pirat fort.